Second grade might be my favorite age group to teach. Whether it’s one on one or in small groups of kids, second graders are curious about the world around them, imaginative, and enjoy creative learning. That makes Pathways 2.0, a language arts curriculum from Kendall Hunt RPD a perfect fit! First let me tell you a little about the program itself and the variety of options Kendall Hunt Publishing offers homeschooling families. 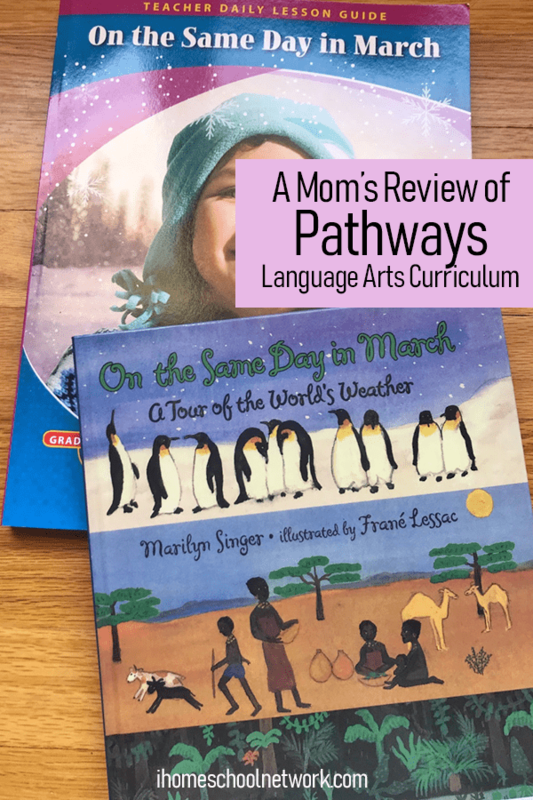 According to their website, Pathways 2.0 is a comprehensive elementary reading program with integrated language arts. The curriculum is offered for grades 1-8 and split into study themes such as My World, Living Things, and Personal Feelings. Kids are taught lesson in language arts with award winning trade-books, using nine different cross curricular themes. The themes include: Heroes, My World, Environment, Personal Feelings, Friends & Family, Living Things, Walking with God, Yesterday, and Social Issues. For a description of these themes you can visit their website here. Kendall Hunt is a Christian publisher. I used the Pathways 2.0 My World theme for second grade with my son. 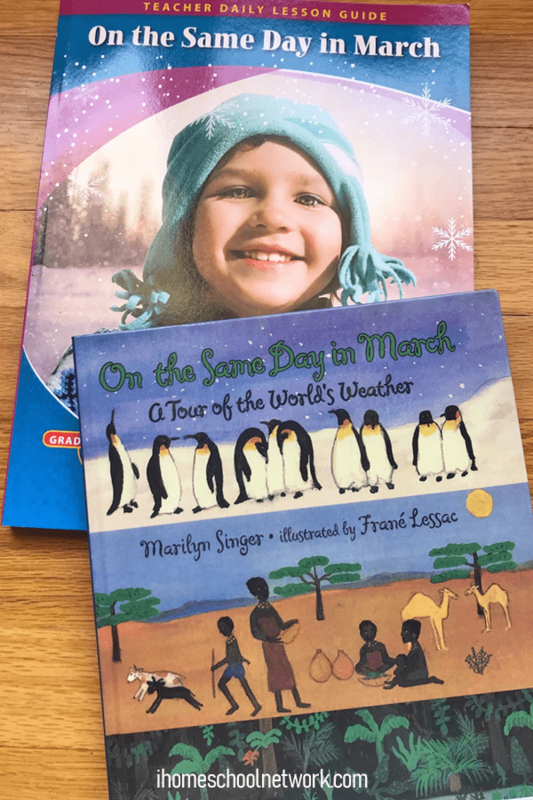 The product, On the Same Day in March: A Tour of the World’s Weather Daily Lesson Guide + Teacher Resources, consists of a print and e-book highlighting a variety of weather around the world on the same day. 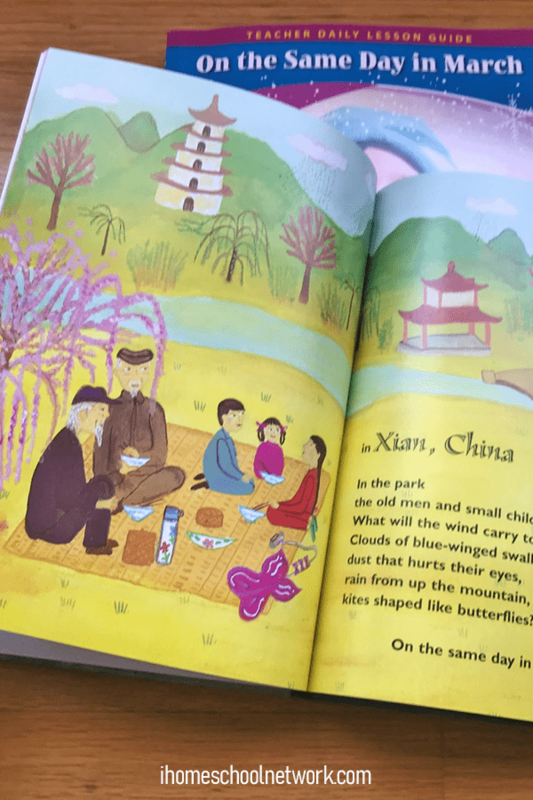 Kids take a literary visit to China, Louisiana, and other places around the globe to explore the local weather while practicing language arts. 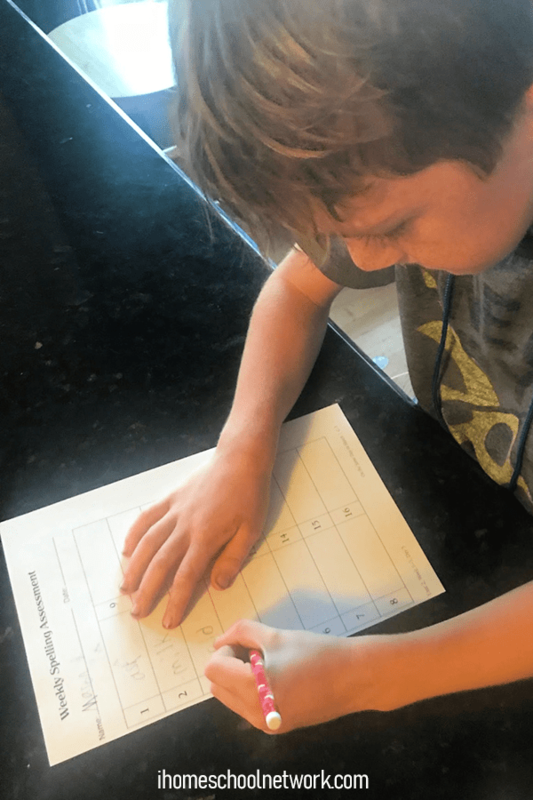 The accompanying daily lesson guide for teachers helped me understand what I should be teaching my son each day during the unit. During the week, we worked on vocabulary and spelling. We also started reading the story and talked about the main topic. I liked that the teacher guide made planning ahead easy, and that the resources were right there in the guide. I was able to cut out the spelling words for the week and use them as flash cards for practice. We worked on more difficult words for vocabulary and talked about the meaning of each word while identifying them in the story. My son finished the week writing a true story using the worksheet provided in the teacher’s guide. The whole unit is supposed to take four weeks, but you can choose to teach at a slower pace. 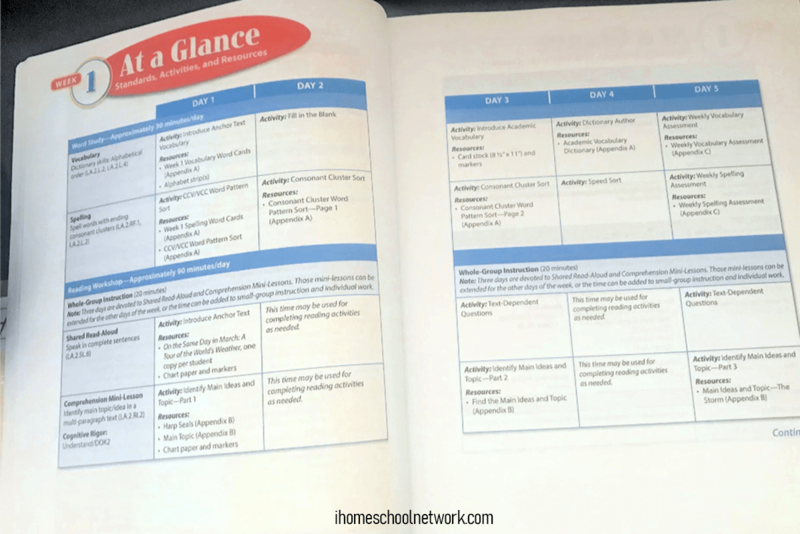 The daily schedule gives instruction for two hours each day which is perfect for a rigorous homeschool study. 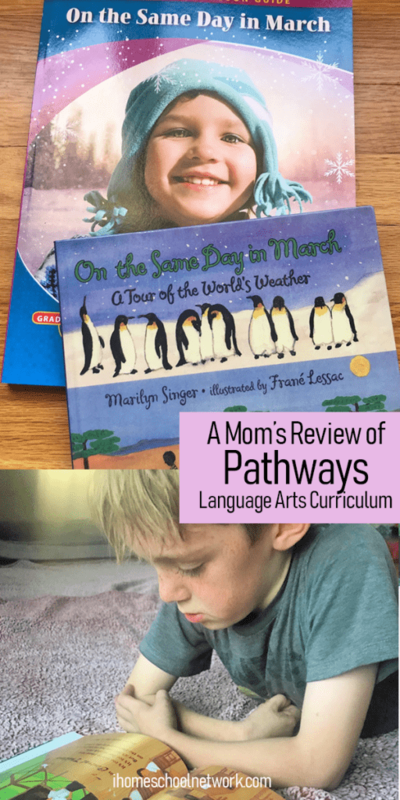 The Pathways 2.0 curriculum will have your kids learning new words, spelling, and writing simple fictional and non-fictional essays. The teacher’s guide has all my teaching materials in one place, including flashcards, writing prompts, vocabulary, and assessments. 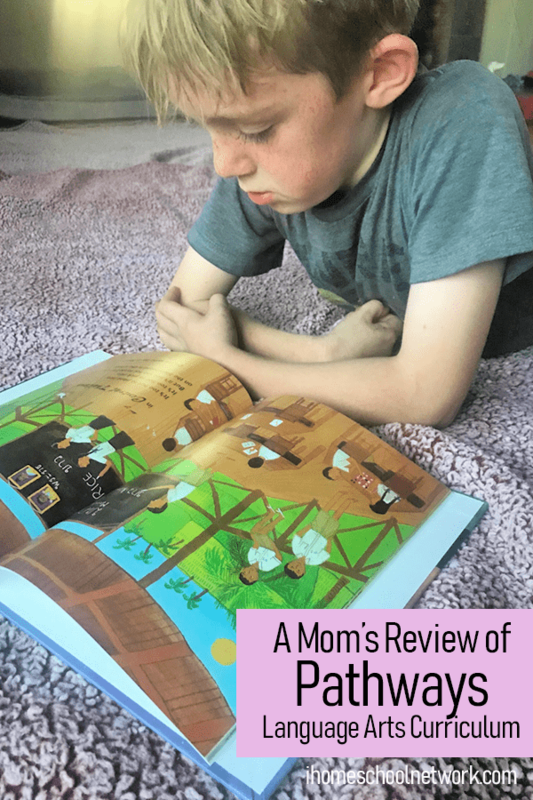 The story book that accompanies the lesson is at level, interesting, and fun for kids to read. 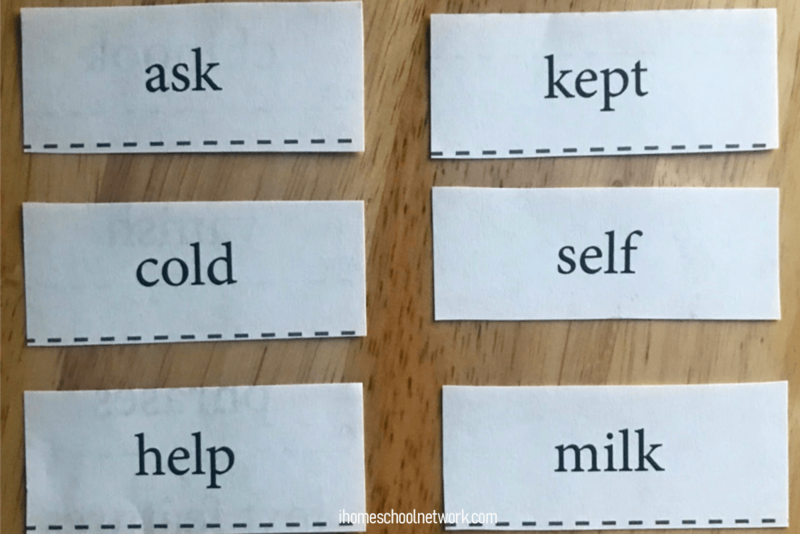 While I didn’t have the other themes for second grade, I think that going from theme to theme would be an easy transition for both teachers and kids. Kendall Hunt RP Pathways 2.0 My World for second grade is academically challenging without being difficult. This unit study teaches kids everything they should be learning within a language arts program.